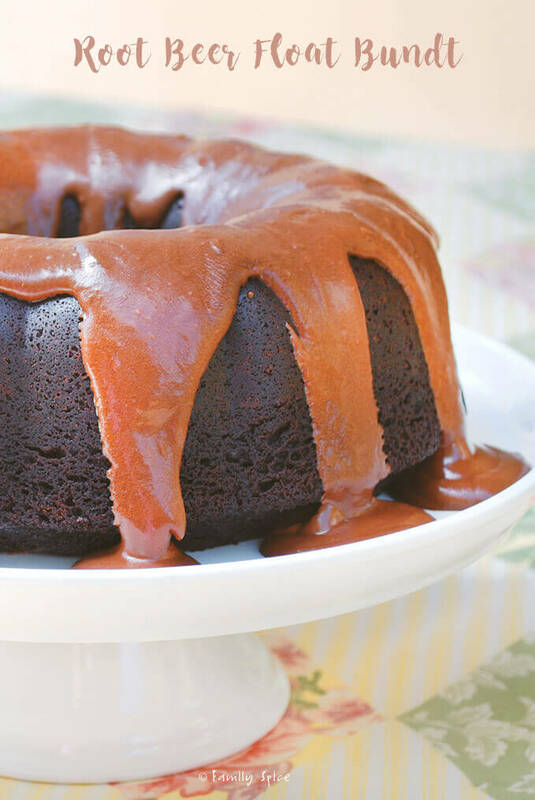 Just like it’s frozen counterpart, this Root Beer Float Bundt Cake will take you back to simpler times. What is that saying, “When it rains, it pours?” No kidding. I thought my life was busy and hectic when I worked 60+ hours in an advertising agency. That’s B.C. – Before Children. My job as “Mom” really is 24/7. But, I love it. That’s what I signed up for. Tomorrow I take off with my friend Lori, a.k.a. 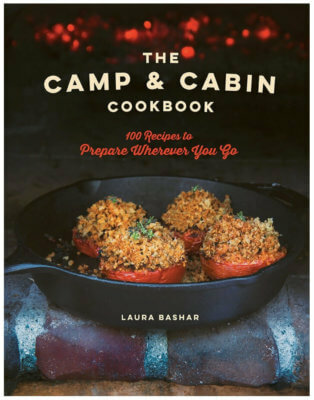 Recipe Girl, and head out to Big Bear and Camp Blogaway. This will my first time weekend away from the hubby and kids. YIKES! Not to mention that this is the first blogging function I’ve ever attended. SWEET! Middle-Child got sick on me with his allergies, again, and the Princess caught croup. There was a fishing trip mixed in there (no fish caught) and Easter with friends. Kids were doing the state’s standardized testing at this time, too. There’s the gardening, volunteering at school and I could on and on. But, I’d rather talk about the Root Beer Float Bundt. I saw this cake on the blog, Piece of Cake. I fell in love! I made it the same day for the Professor and his friends. They had seconds. Yes, it was that superlicious good. It’s also super easy to make and is one of those one-bowl-gets-dirty kinda cakes. I upped the sugar factor and served it with a glass of root beer. It’s a birthday thing, you know. Now I must return to food shopping, laundry and packing. I can’t wait to meet some more bloggers and chill out in Big Bear. It should be a beautiful weekend and I hope to learn a lot. 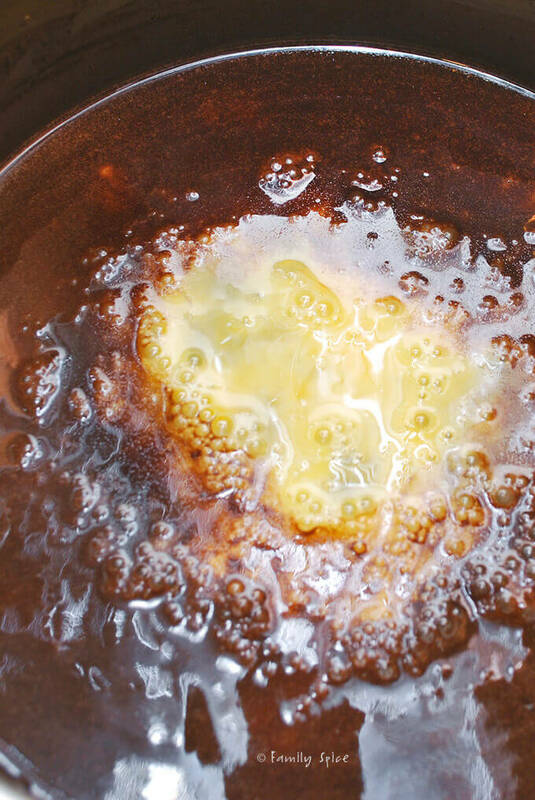 Stir often until the butter is melted. 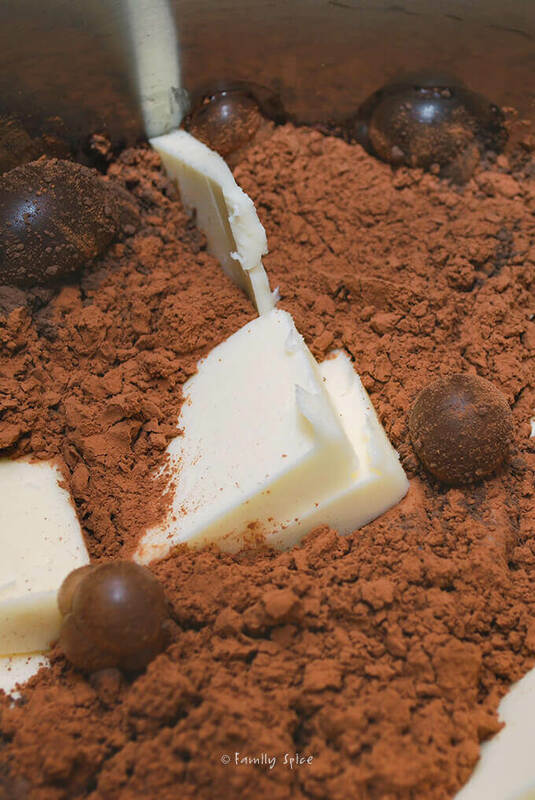 Let cocoa mixture cool to room temperature. Position an oven rack to the lower third of the oven and preheat it to 325ºF. Spray a 10-inch Bundt pan generously with nonstick cooking spray. Add eggs to cooled cocoa mixture. 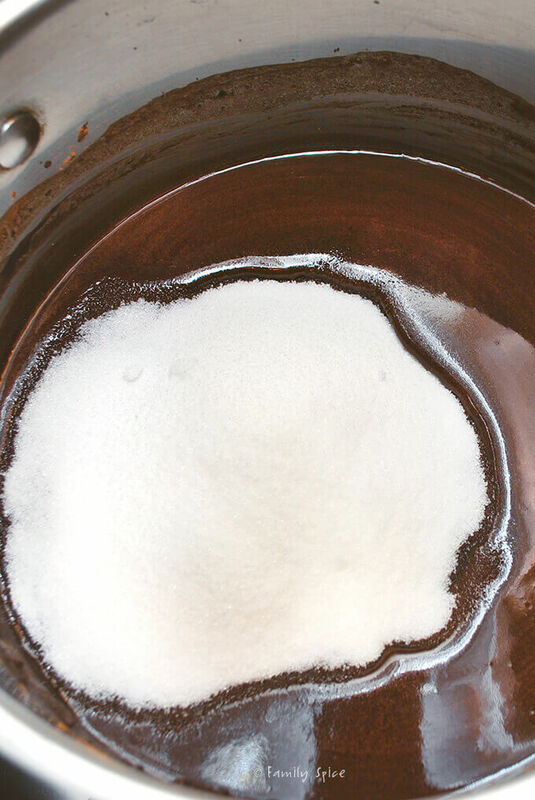 Make a well in the center of the dry ingredients, and slowly pour in and stir the wet ingredients into the dry. The batter will be slightly lumpy. Don't overmix the batter. Scrape the batter into the prepared pan. Bake the cake until a toothpick inserted into the cake comes out clean, about 45-50 minutes. Let the cake cool for at least 30 minutes in the pan before gently loosening the sides of the cake from the pan and inverting it onto a wire rack to cool completely (spray the rack lightly with nonstick spray before inverting the cake to prevent it from sticking as it finishes cooling). 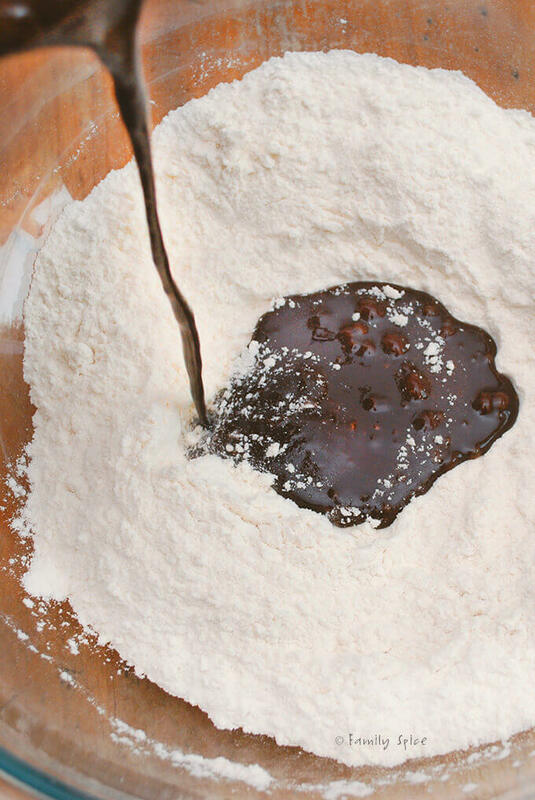 You can adjust the glaze to your taste by thinning it (adding more root beer) or thickening it (by adding more powdered sugar). Spoon the glaze over the cake and let it drip down the sides. Let the glaze set for 15 minutes or so before serving. Serving Suggestions: Serve alone or with a scoop of ice cream. Cooking Tips: Keep this cake covered at room temperature and it will keep for at least 5 days or longer if refrigerated. Root beer flavor intensifies the longer the cake sits. my kids love rootbeer cake too 🙂 Looking forward to meeting you this tomorrow! Looks yummy! Looking forward to a fun, fun weekend! ROOT BEER CAKE? I never heard of it, but I am in love already. 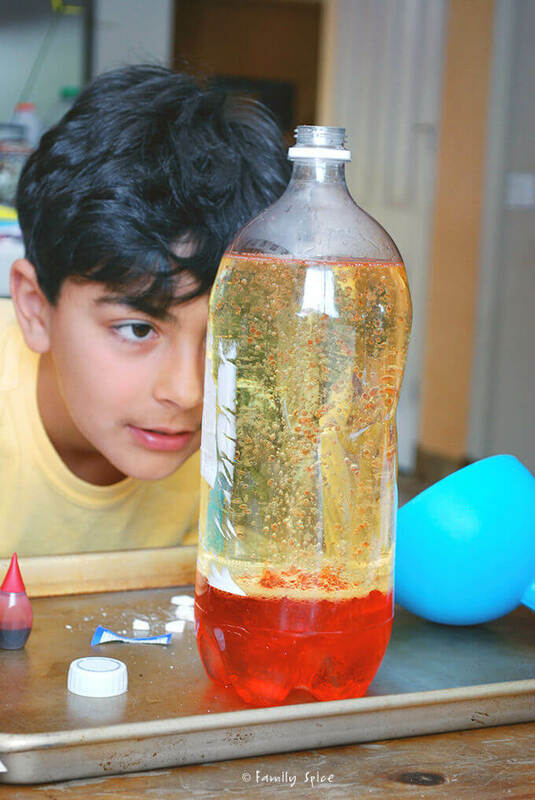 Looks so beautiful, definitely one to make AFTER I'm home from Camp Blogaway. Love your blog, see you @ camp! I know! Root beer cake wasn't on my radar and what was I thinking??! I hope you all try it soon! What a beautiful bundt. Lovely job. What a great looking cake – so fun for summer birthdays, too! I had never had a rootbeer cake until the LA Cupcake Challenge and have been dreaming about them ever since. Gotta give this a try. Great meeting you at Camp Blogaway! 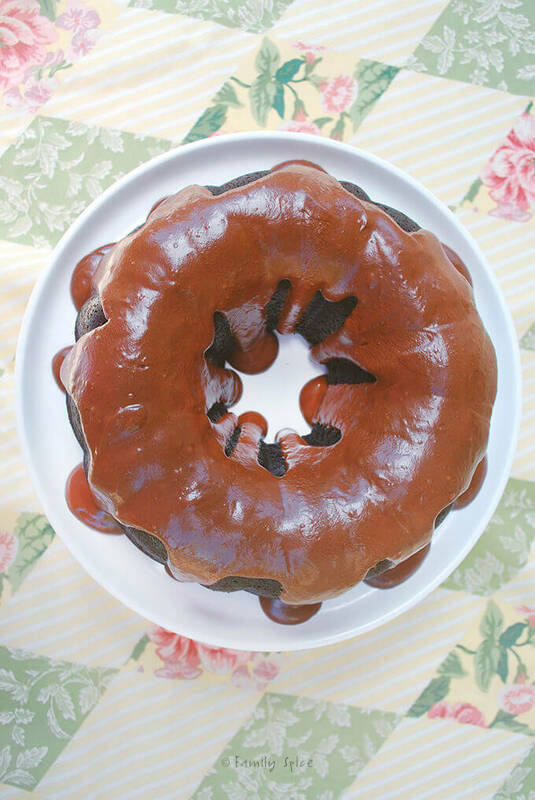 I have been looking for a Root Beer Cake recipe forever! Must, must try this ASAP! I look forward to getting to know you better through your blog!